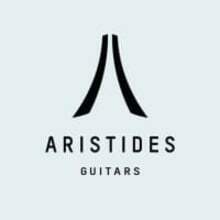 Aristides Instruments: boutique injection-molded guitars made with proprietary materials to a high quality standard. We sell direct worldwide & while we build custom instruments to order, we will post "stock" models, show guitars, & more here. We do our best to ship within 3 business days - all guitars receive another final quality check & are packed securely before shipment.